A Spanish company called Zero2Infinity prepares to revolutionize the way satellites can be brought into orbit, in a very low-cost and environmentally friendly way: rocket + balloon = rockoon. It could get very crowded up in the skies. Amadeus is a EU project that investigates the potential to store large amounts of energy in high-temperature molten materials, like silicon and boron. 1414 °C is the melting point of silicon. A company in Adelaide, Australia, has named itself 1414 Degrees and claims to have achieved a breakthrough in energy storage by bringing down storage cost per kWh with a factor of 10 compared with lithium-ion. Based on the latent heat in molten silicon. Energy is fed to containers with silicon in order to melt it. Due to the high latent heat capacity of silicon, much energy is stored during the phase change from solid to fluid silicon. A cube with a rib of 70 cm is said to be able to store 500 kWh. Silicon has a density of 2.33 ton/m3. One tone or 429 liter silicon would suffice to power 28 homes for a day. That would amount to 36 times the capacity of a 14-kWh Tesla Powerwall-2 lithium-ion battery. The company however doesn’t target individual households and doesn’t aim to compete with batteries but instead is aiming at “district heating, major industry, electricity producers and suburb-scale residential developments”. At a large scale the claim is that 1 MWh can be stored at the cost of $70,- or 7 cent/kWh. The number of charge/discharge cycles is said to be virtually unlimited. [ec.europa.eu] – What is Horizon 2020? 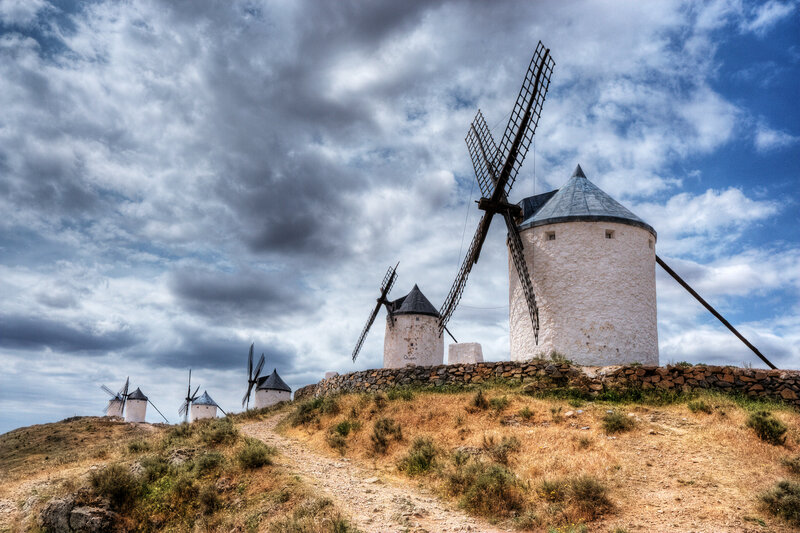 [source] La Mancha, Don Quixote and Windmills. Nobody fighting the Spanish wind mills this time around. The wind is blowing in the right direction for the European wind industry these days. 3 giant 1.2 GW wind projects have been given the green light, one Spanish onshore in North-East Aragon and two offshore in the North Sea off the coast of England: Hornsea I and East Anglia III, the first with 7MW Siemens wind turbines. The British projects are supposed to be completed by 2020 and 2025 respectively. For the first time in history, Spanish windturbines over a period of three months produced more electricity than any other source. 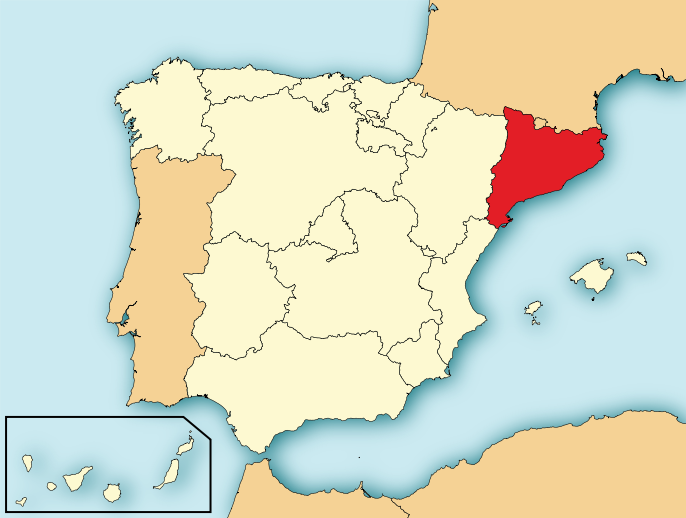 Spain in absolute terms is the fourth ‘wind power’ in the world. 2020 objective for Spain: 35 GW. “Spain is probably set to have Europe’s first utility- scale solar parks without subsidies“, according to Jenny Chase, the Zurich-based head of solar energy analysis at Bloomberg New Energy Finance. Main reason: Solar-cell prices came down 67% during the past two years, not in the least due to Chinese overproduction. 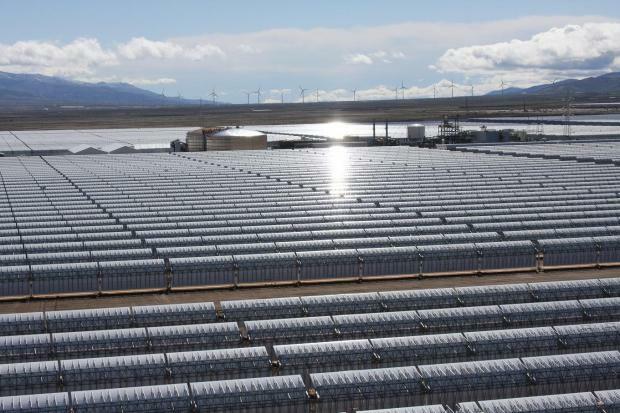 Spain has been winding down subsidies on solar. Currently there are application for plants with 150 megawatts to 500 megawatts in capacity and all would be larger than any in Europe. Developers: local companies Solaria and Gestamp Renewables, as well as Germany’s Gehrlicher Solar AG, S.A.G. Solarstrom AG and Wuerth Solar GmbH & Co. Installed solar capacity to date: Germany 30 GW, Italy 15 GW, Spain 5 GW and the US 4 GW. Compare this graph with a post from May this year to see that Germany is making progress with breakneck-speed. And clearly, if a country can cover 50% of its electricity needs from solar during peak hours, it also can cover 100%, provided sufficient storage facilities are available. The big difference between Germany and the US probably largely has to do with cost. Here is an article with a lot of solar data, like cost.